ArthaLand continues to take the lead in the Philippine rea lestate industry by winning prestigious awards during the Asia Property Awards Grand Final 2018 held at the Athenee Hotel Bangkok, Thailand last 8 to 9 November 2018. 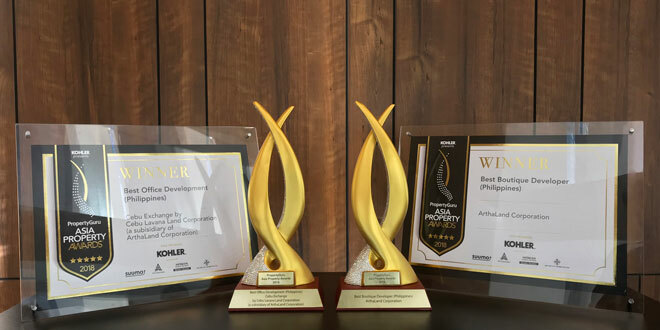 ArthaLand, the leading boutique developer in the Philippines, recently won three major real estate awards in November–two for the 2018 Asia Property Awards held in Bangkok, Thailand and one more for the 2018 Japan International Property Awards. The company bagged the prestigious Best Boutique Developer (Philippines) award for the year as well as the Best Office Development (Philippines) award for the Cebu Exchange, ArthaLand’s latest project and one of the most notable office developments in the country to date. The 39-story Cebu Exchange is a commercial development located within the Cebu IT Park in Barangay, Lahug, Cebu City and is ArthaLand’s first footprint outside of Metro Manila and brings ArthaLand’s expertise in providing leading-edge business ecosystems across the nation. The project was launched in March 2017 as a signature office development by Cebu Lavana Land Corporation, a joint venture between ArthaLand and Hong Kong’s Arch Capital Management. The annual Asia Property Awards program celebrates the best and brightest achievers in the most dynamic markets in Asia. It is considered the region’s biggest and most respected real estate awards program. ArthaLand also recently bagged the Best Green Feature Development in the 2018 Japan International Property Awards. The award recognized ArthaLand’s sustainable features in its projects. 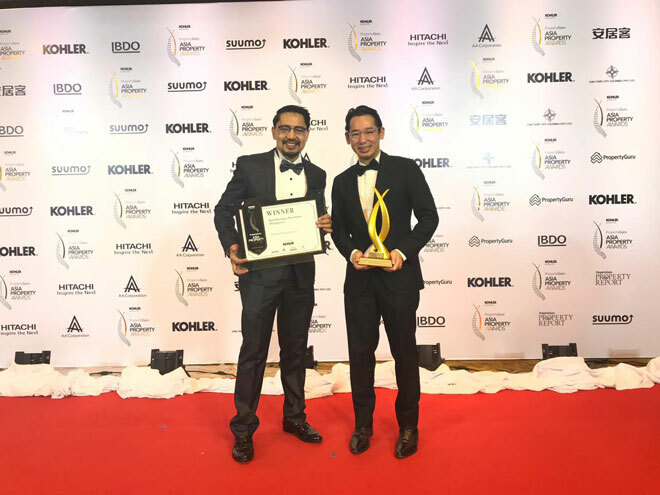 “We are happy to have received the two Asia Property awards and the Japan International Property award for they stand as testament to our commitment to excellence in the real estate industry,” ArthaLand executive vice president Leo Po stresses. “I’m truly proud of the award for Cebu Exchange for it recognizes the project as one of the most important office developments in recent time, not only in Cebu but in the whole country,” he adds. The company’s most recent achievements come after it had also won several highly coveted awards in the 6th PropertyGuru Philippines Property Awards 2018 held just last May 11 at the Fairmont Makati and add to the already illustrious list of achievements ArthaLand has accumulated through the years. ArthaLand Vice President for Technical Services, Edgar V. Sabidong (left) and Executive Vice President and Treasurer, Leo T. Po (right) receive the company’s recognitions at the Asia Property Awards Grand Final 2018 held at the Athenee Hotel Bangkok, Thailand last 8 to 9 November 2018. 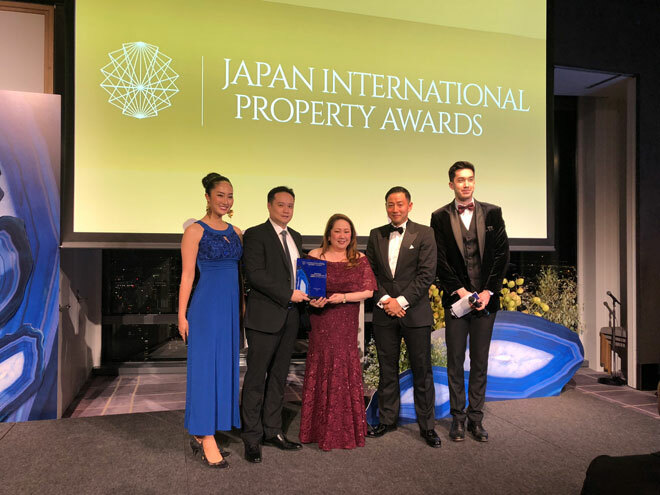 ArthaLand Senior Vice President for Sales Operations, Oliver L. Chan (second from left) and Sales Director, Michelle T. Tuason (center), receive the Best Green Feature Development at the Japan International Property Awards 2018 held at the Andaz Hotel (by Hyatt), Tokyo, Japan last 14 November 2018.